Interethnic differences in drug-metabolising capacity may be substantial, and they are sufficiently frequent to warrant attention. Such differences may consist of different mean values of quantitative traits in separate populations, or of different frequency distributions as produced by the occurrence of genetic enzyme variants. The collection of population data requires the investigation of substantial numbers of subjects. This may be no problem if drug-metabolising enzymes occur in blood or are sufficiently stable in their tissues to allow investigation in vitro. 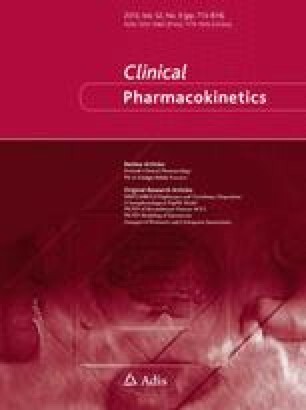 However, if investigations require the use of probe drugs, new efforts are needed to adapt pharmacokinetic methods to make them suitable for population studies. This development of methods is further called for because genetic variants seem to be more easily detected through the assessment of particular metabolites than through the determination of pharmacokinetic parameters of the parent drug. Many studies with probe drugs comparing different populations have given results that are equivocal in terms of the nature-nurture interplay. However, a set of data with antipyrine has pointed to environmental factors as the principal determinant of differences in metabolising capacity, while data with debrisoquine have indicated monogenically controlled variation of one facet of the cytochrome P-450 system. In several instances, statistically significant differences between population means have been established by testing small numbers of subjects, numbers insufficient to establish distribution patterns that would allow the recognition of genetic polymorphism. The populations studied range from Greenlanders to South African Blacks, but most comparisons pertain to Caucasians and Orientals.